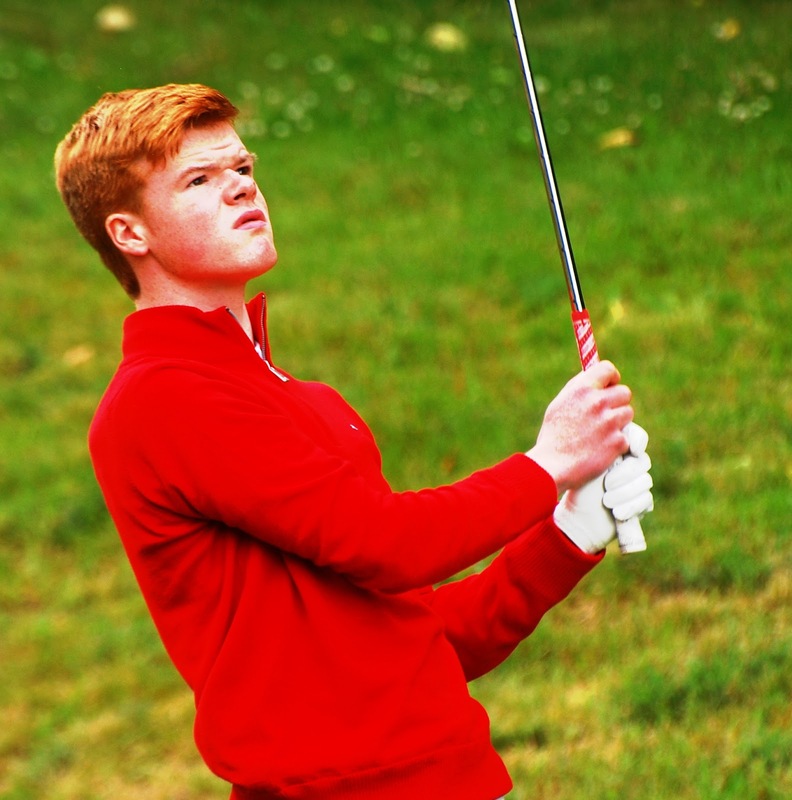 It was a day of contrasting fortunes and changeable weather at Moray Golf Club, Lossiemouth today as the first round of the 72-hole strokeplay event at the 96th Scottish students' championships got underway. The best scores of the day in the 130-strong men’s competition on the New Course came from the early groups, though even then the leaders were struggling to get to the turn in level or better. Home favourites Alasdair MacNaughton and Jamie Mackintosh (both UHI) bucked the trend by getting to two-under-par after six holes. In blustery conditions Mackintosh eventually slipped back to two-over 72 and a share of 20thplace while MacNaughton went on to card a very respectable one-under 69 to sit in fourth place at close of play. He was overtaken into third slot by Stirling’s Robert Foley who came home in three under par for a fine total of 68. Joint leaders after round one are St Andrews’ Bjorn Bojesen and Stirling’s Michael Lawrie (pictured left) who each scored three-under 67. Bojesen carded eight pars before a birdie at the ninth got him out in one under par . He experienced a minor blip with a bogey at the 13th, but came roaring home with three birdies in the last five holes. Michael, watched by his dad, 1999 Open champion Paul, played some excellent golf and carded five birdies – including two 2s - on his way to a 67 and a share of the lead. The women’s event got underway on the Old Course today and the twenty players contributed a total of 43 birdies and an eagle in an action-packed day. 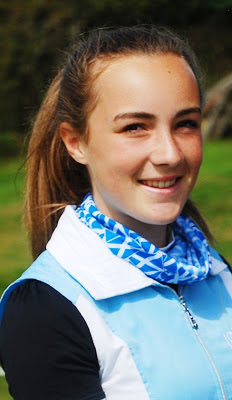 Top of the pile at nightfall were Stirling’s Hazel MacGarvie and Lieve Van Veggel from St Andrews, each of whom carded impressive two-under-par scores of 73 in testing conditions. MacGarvie, pictured right, absorbed three consecutive bogeys from the third hole before recovering brilliantly with four birdies between the seventh and the 12th before closing with six pars. The golf continues on Monday with all players taking to the New Course from 8am with places in Tuesday’s final 36 holes up for grabs. A total of 39 male and nine female players will make the cut – precise figurews to be achieved via play-offs if necessary. 70 A Wilson (St Andrews), B Bannerman (Glasgow), R A Castillo (St Andrews), R Asher (Strathclyde), L Frean (St Andrews), R Winning (Glasgow). 71 G Burns (St Andrews), C Edgar (Stirling), E Ferguson (UHI), S Alexander (St Andrews), S Davidson (Stirling), R Nelson (Stirling). 72 L Shepherd (Stirling), C Franssen (St Andrews), T Cochrane (St Andrews), J Mackintosh (UHI), A Benson (Strathclyde), D Nagiev (Stirling), A Crusher (Strathclyde). 73 R Brydon (Stirling), J Oster (UHI), G Minton (UHI), A Bagnall (St Andrews), J Bisset (Aberdeen). 73 H MacGarvie (Stirling), L Van Veggel (St Andrews). 82 G Hirst (St Andrews), M McInnes (Aberdeen). 85 A Hammer (St Andrews).